Updated Wednesday March 27, 2019 by NSYFCA. 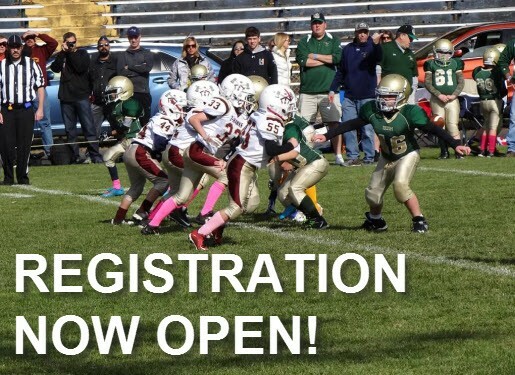 REGISTRATION FOR THE 2019 SEASON will open on April 1st. Simply click "Log In" at the top of the screen to access your account, or if you're a first time registrant to create a new one. Below is a step by step guide SI Play created for families. Don't miss the opportunity to take advantage of our discounted early registration period, and save $55 off the general registration rate of $250.00. U8 Cheer, Flex Flag, and Mighty Mite Tackle registration is a flat rate reduced fee of $150. These reduced rates will be in effect throughout the entire registration period, and no further discounts are applied. Registration fees are used to cover expenses such as equipment costs, coaching certification, health & safety equipment and training, field maintenance, and referee compensation. Registration fees must be paid in full to receive football equipment, be fitted in cheer uniforms and begin practice in August. Football team rosters will be limited to 28 players, after which additional registrants will be placed on a wait list. Registration scholarships are available upon request. Applicants must be submit an application and the necessary back up documentation to the Registrar at nsregistrar@jrthawks.com during the early registration period. If your child withdraws prior to the start of season, before the first practice, from either football or cheer, Northboro/Southboro Youth Football and Cheer Association will provide a full refund minus the registration processing cost of $10.00. Request for refunds must be communicated in writing to nsregistrar@jrthawks.com and are subject to NSYFCA Board review. If your child withdraws after August 1st, refunds will not be issued.